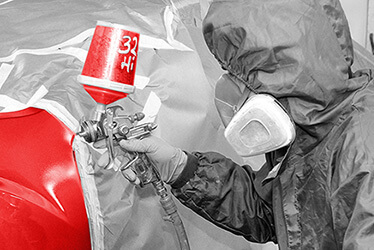 PDR is a more and more common technique used by auto body repair shops as it is a faster, more efficient and less expensive method of repairing minor dents, creases or dings. The techniques is based on the use of body picks and metal rods, which push out the dents from the underside of the panel. It can also be performed from the outside, using specially designed tabs and glue to pull the dents out. Once these steps are complete, a fine tuning is required, which oftentimes involves removing high spots by tapping down the repair. Not all dents or damages can be repaired this way, so contact our specialized technicians at CARSTAR #15092 in Lenexa, KS to learn more and have your vehicle assessed. If PDR is the right technique for your vehicle, then it should be ready in 2 to 3 days, which is one of the great benefits of paintless dent repair. CARSTAR CARSTAR #15092 in Lenexa, KS offers paintless dent repair as a time and cost effective solution to minor creases, dents and dings. Our process is simple and straightforward, yet highly comprehensive as we make sure your vehicle is returned to you in top shape. Our qualified and experienced technicians will assess the damage on your vehicle's body and determine if PDR is the right solution or not. If it is, they will also be able to determine the best technique to properly repair the dent. Usually, this is a two-to-three day repair. Contact us to learn more about the process, how we work with your insurance, or bring your car in for an assessment! 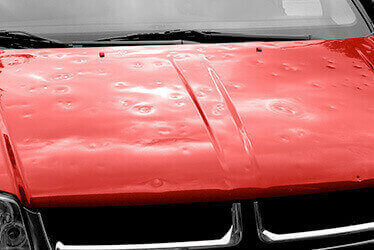 At CARSTAR #15092 in Lenexa, KS, we offer more than just paintless dent repair for your vehicle. Our range of services includes auto collision repair, hail damage, fleet services and more. You'll have a one stop shop for all your auto repair needs, no matter the circumstance. We also provide 24/7 assistance, so all it takes is one phone call and we'll walk you through every step of the process. We believe peace of mind comes from knowing that whatever your car needs may be, you can always turn to the same trusted, experienced technicians who know your vehicle inside out. Contact us and find out more about the services we provide and how we can help you keep your car on the road for longer.